Books that tell would-be entrepreneurs to go for it and how to go for it are ten a penny but Linda Rottenberg’s Crazy is a Compliment benefits from her unusual experience as the co-founder of Endeavor, a sort of networking and mentoring club for startup founders seeking counsel. Again, networking groups for entrepreneurs are fairly common but Endeavor is different, supporting many projects out of Latin America, Turkey, South Africa and other places far from the usual privileged US and western European hotspots with their access to venture capital and the powerful and influential. Rottenberg brings this sensibility to the book. Many entrepreneurial ‘how to’ books are aimed squarely at the kind of person who was always likely to take that path. The college graduate/business school/networker types born into a culture of confidence and achievement. By contrast, Rottenberg begins her book with the Leila Velez, born in the slums of Rio de Janeiro and in the 1990s a server at McDonald’s. The story of how she built a hair-care empire with the help of Endeavor is remarkable. As Velez’s tale suggests, far from all of these startups are technological in nature. The stories here are occasionally prosaic but often remarkable, inspiring, even emotional. Rottenberg has poured all her experience into this. In some ways it’s a very American book and there are lots of homilies, learnings from great American corporations, and neologisms. But the broad global scope is refreshing and, in a world where more of us will be forced to discover an entrepreneurial streak, this book deserves to have a suitably broad readership. 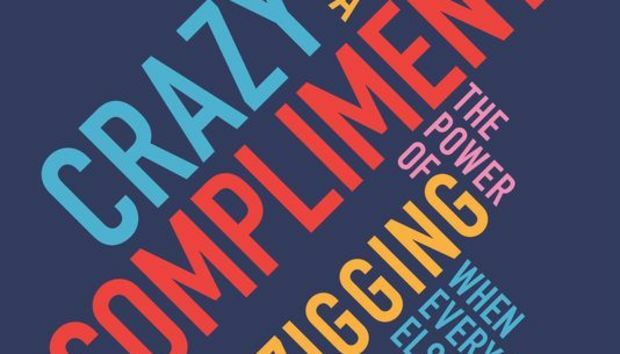 An excerpt from Crazy is a Compliment is here. An interview with Endeavor president Fernando Fabre can be read here. « HP's New Computing Model: This Time Lucky?